4 Piece Set. The complete kit for kitchen fitters. 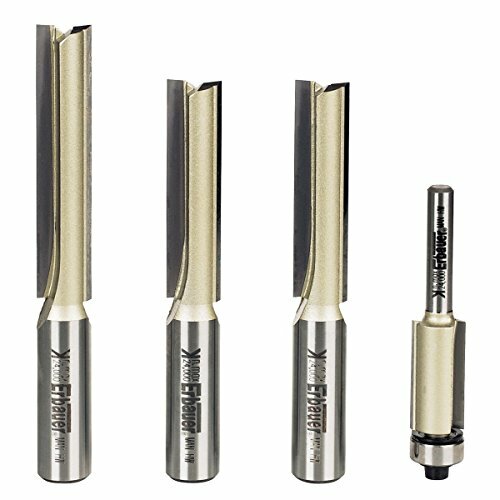 Product contents:2 x straight bits (12.7 x 50.8mm 1/2 shank), 1 x straight bit (12.7 x 63.5mm 1/2 shank) and 1 x flush trim bit (12.7 x 25.4mm 1/4 shank). Specifications:4 Piece Set.